Check out Jen's Top 10! Jennifer Sperberg isn't just another creative mind. 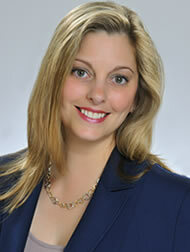 She also has an MBA from top-tier Kenan-Flagler Business School at UNC Chapel Hill. That means she'll plan and execute your marketing without ever losing sight of your business goals. Broderick Communications knows marketing inside and out. We’ve contributed as corporate insiders, hiring and partnering with world-renowned agencies to meet and exceed our business goals. We have also worked on the agency side of the white board, helping Fortune 500 and small business clients map out their marketing paths. This gives us the perspective to understand both where you’re coming from and where you should be going. 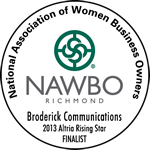 Broderick Communications understands the marketing of businesses and the business of marketing.